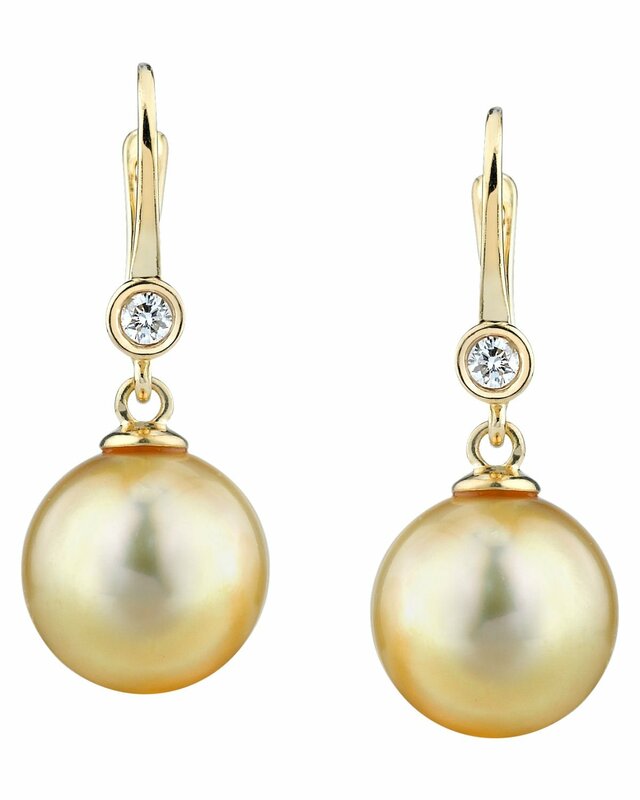 These earrings include two beautiful Golden South Sea pearls with 'Very High' luster, our highest grade available. The mountings include two sparkling SI quality diamonds totaling .13 Carats. If you want to complete your pearl jewelry set, make sure you take a look at the pendant featured at the bottom of the page. If you have any questions, feel free to call us anytime at 866-87-Pearl (866-877-3275). The earrings are beautiful and I was very pleased with the processing and shipment time. The pearl&apos;s quality is excellent. However, I will switch it to the pair without the diamonds----- it depends on what effect you would like to have, "dazzling and lustrous" or "elegant and simplicity".